When I was studying theatre as an undergrad and grad student, there was one role in the theatre most of my fellow students never got a clear definition of, that of dramaturg. Most of our professors would wryly answer, “nobody really knows” when asked what a dramaturg did. There was also a sense of guilt and embarrassment. Dramaturg was one of those positions you added when your theatre had money and seemed fated to be first cut when money got tight. Except the dramaturg tended to work closely with the artistic administration who were naturally resistant to the idea of cutting them so it was usually someone in development or marketing that got cut first. If you look up dramaturgy on Wikipedia or the Literary Managers and Dramaturgs of the Americas (LMDA) website, you will learn that a dramaturg is a sort of historian/researcher who helps all those involved with a production, from the creative ensemble to the audience, understand the greater context in which a performance occurs. The reason why no one knows what a dramaturg does is that the role is so generally defined, the duties can vary vastly from place to place. I explain all this to provide context for the people I am about to quote. If you think that makes me something of a dramaturg, well Amrita Ramanan, the literary manager at Arena Stage would likely agree. She recently posted a manifesto outlining her vision of role of the literary office of the future on HowlRound. “…David Dower…talked about dramaturgy as integral to a theater company’s thru line, such that every theater maker holds the mission and vision of the art as their ultimate goal even if they explore different tactics on how to achieve them. A marketing manager practices dramaturgy by communicating to an audience to mission and vision of the art through website blurbs, posters and brochures. A development associate practices dramaturgy when they approach a potential funder, carrying and articulating the mission and vision of the art and why it needs the funders support to thrive. A casting director practices dramaturgy when casting a show by supporting the mission and the vision of the playwright’s intent and director’s concept with every person they call in. This is a variation on the theme I have often touched upon in my blog that marketing is everyone’s responsibility. This is one of the reasons why dramaturgy is such a nebulous position at many organizations, if it exists at all. 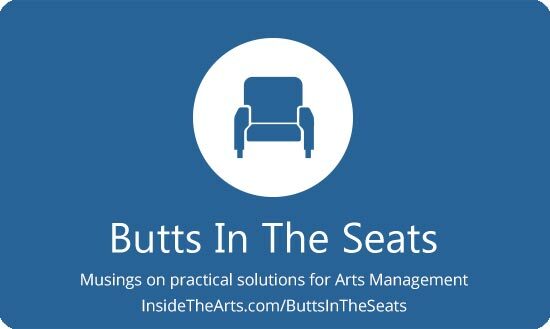 The argument can often be made that the dramaturg’s responsibilities are more suitably performed by a number of other departments in an organization. On the other hand, do the directors of marketing, development and the performance have the time to do all the appropriate research? Is having all these people researching the same subject independently the best way to assemble information? The answers depend on the ambitions of the organization. Ultimately, whether an arts organization of any discipline has someone acting in the role of a dramaturg (whatever it may be called), everyone involved with the organization takes on some aspects of the dramaturg role in the execution of their duties. Each person needs to be skilled in acquiring the appropriate information and putting it into practice on behalf of the production. I remember years ago reading an entry on Greg Sandow’s blog where he mentioned that those who worked for orchestras rarely attend the performances or come into the office the next morning and talk about the event. I was floored at the time. Given all the acrimony between the administration and musicians at many orchestras these past few years, it has become easier to believe. Even if people at your organization come in and talk about productions with great enthusiasm, Howard Sherman’s observations show that there are always more opportunities to connect and learn about the projects that can be offered. Even if there isn’t a dramaturg at your organization, sharing the knowledge that individual staff members have collected in preparation for a project can help everyone do their jobs more effectively. Thank you for this post — I had actually been wondering about dramaturgy lately, and you did a good job of explaining the role! My organization presents rather than produces, but I think perhaps we should be more engaged in this research/curatorial aspect of the things we present. I’m pleased you found my comments useful, Joe, though I never thought of them in a dramaturgical context. Does this make me an accidental dramaturg? If so, I know a few dramaturgs who are going to be pretty darned surprised! Well according to Amrita Ramanan, perhaps you are. At the very least I would guess you are encouraging an environment conducive to dramaturgical practices. The sort of researcher role was one that I always understood a Dramaturg to be, researcher and general support to the artistic director. I love the idea of this role, working with a playwright to help them draw their vision out and put it on paper. The existence of a development dramaturg doesn’t surprise me at all. It seems to fit in with the whole concept of the person being a general knowledge resource for anyone involved with a project.